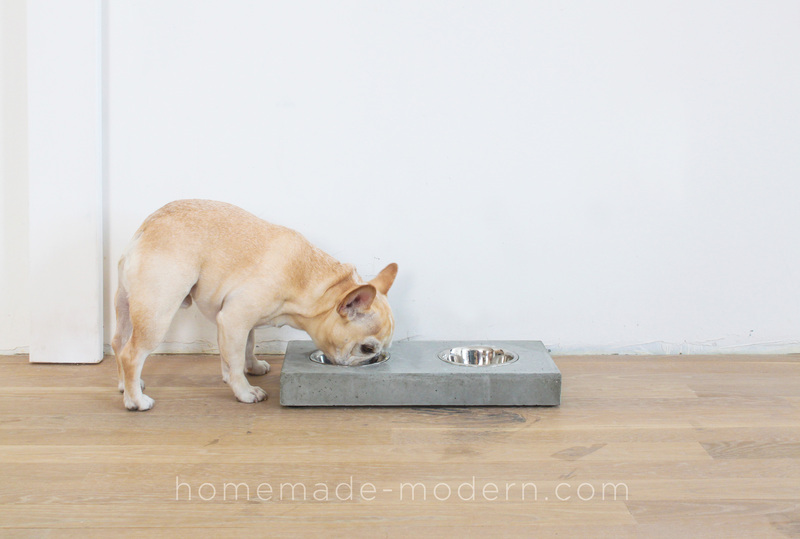 I made this concrete dog dish station out of Quikrete 5000. 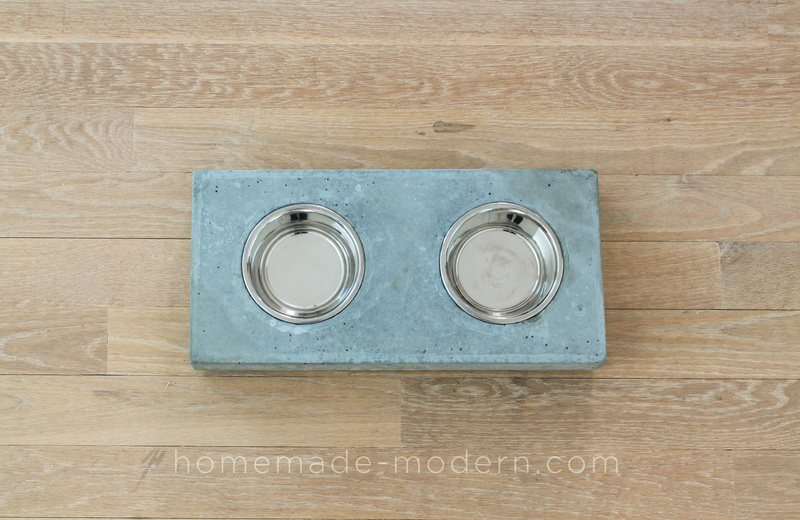 The stainless steel dog dishes pop in and out of the concrete station. 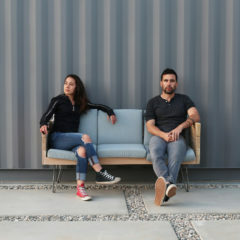 I used 2 bags of Quikrete 5000 concrete mix to make the concrete countertop. I used melamine to make the molds for the concrete countertops. I used a piece of white board that I bought at Home Depot for the base of the mold. I bought these stainless steel dog bowls from Amazon. STEP 1: Cut the melamine. I ripped 2-1/2” wide strips of 3/4” melamine on my table saw. 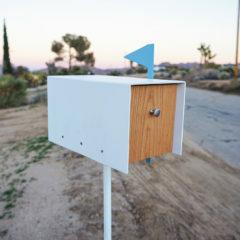 I then used my miter saw to cut the pieces to length. STEP 2: Glue the mold together. I used my hot glue gun to glue the pieces of melamine down to the white board. I sealed the inside edges and corners of the mold with silicone. I then glued the stainless steel dog dishes down to the white board. 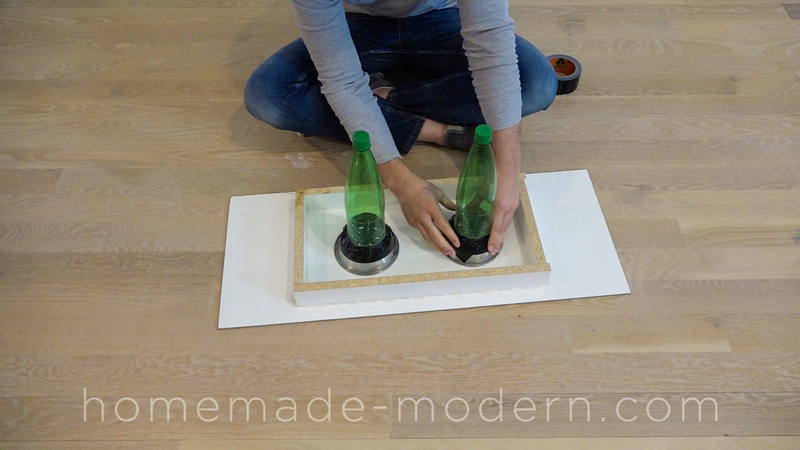 STEP 3: Duct tape on bottles. I want to be able to push the dishes out of the concrete from the bottom so I duct taped some plastic water bottles to the bottom of the dishes. 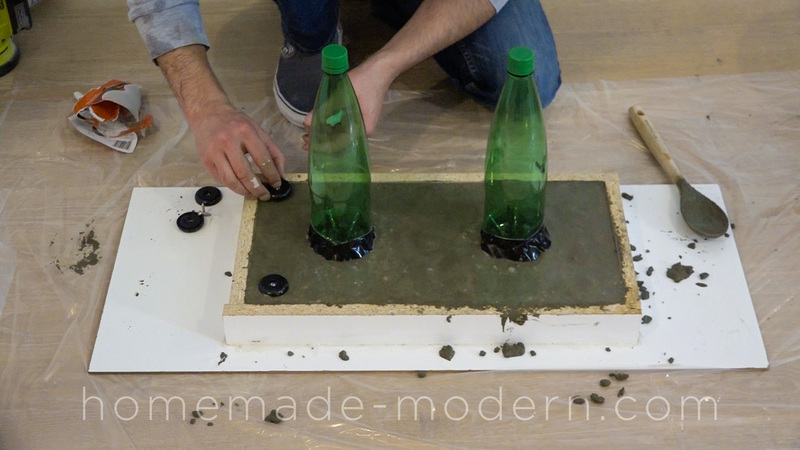 STEP 4: Mix and pour the concrete. I mixed and poured some Quikrete 5000 into the mold. I used a wooden spoon to push the wet concrete down to the bottom of the mold. I vibrated the mold with an orbital sander with no pad to try and get as many air bubbles as possible. STEP 5: Place the pads. I placed rubber furniture pads into the wet concrete so that the feeding station won’t scratch the floor. If you wanted to elevate the station you could insert legs in the concrete at the point. STEP 6: Remove the slab from the mold. I let the concrete cure 2 full days before removing it from the mold. 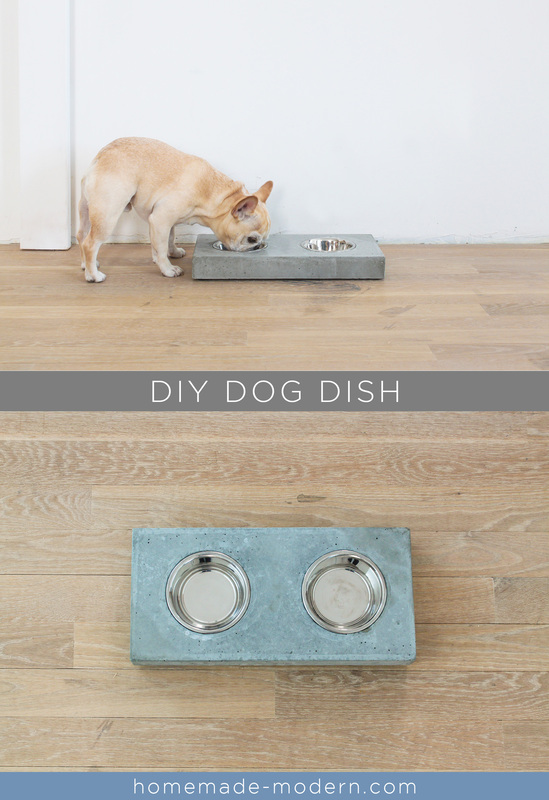 I cut away the plastic bottles and used a piece of iron pipe to push the dog dishes out of the concrete from the bottom. I then used a knife to scrape away glue that was stuck to the dishes.